Hello City fans! 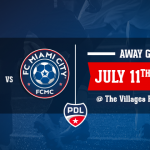 This Friday April 7th FC Miami City will travel in Milander Park for a pre-season match against Miami United FC, member of the National Premier Soccer League. 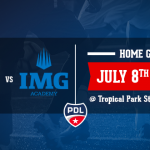 Since there isn’t any other Miami team within our own PDL, we can say that this is our derby. Not to forget Miami Fusion FC from the NPSL as well. A great treat for soccer fans from our beloved city. 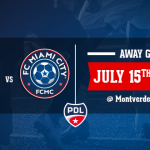 FC Miami City is thirsty for victories after barely missing last season’s conference championships, even though the team managed to loose only four games out of fourteen throughout the regular season. Leaving them just one spot away from qualification. Their last four pre-season matches had positive outcomes made out of three wins, one draw and one loss. The flashiest performance by the blues was against Kendall Uruguay on March 11th in which we scored a poker. On the other hand, the home team Miami United FC had an outstanding performance last season within the NPSL. Comfortably winning their conference with nine wins and only one loss out of ten games. They went on to advance to the Regional finals, where Chattanooga FC (from Tennessee) eliminated them thanks to a penalty shoot out. The game will be played on the Milander Park Stadium at seven at night. Hope to see you all on Friday; you won’t want to miss this one!